As Morocco gather’s support for its membership of the Economic Community of West African States (ECOWAS), a Moroccan delegation will attend the bi-annual summit of the west African sub-regional grouping, in Liberia’s capital, Monrovia. The delegation, led by Morocco’s Ambassador to Abuja, Moha Ouali Tagma, will hold talks with West African officials ahead of the summit of heads of state that will take place in Monrovia on June 4, le360 news website said quoting official sources. Morocco’s foreign Minister, Nasser Bourita, will later join the delegation to give it a high level character. Bourita who is on a tour in West African states expressed in a statement to the press his optimism regarding Morocco’s prospects to join the ECOWAS. 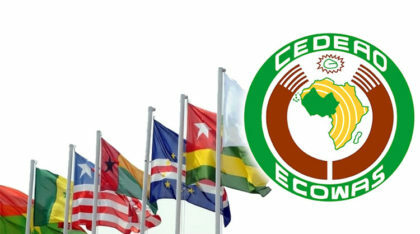 Last February, upon directives from King Mohammed VI, Morocco officially requested membership in the ECOWAS, a sub-regional grouping that has been steadily forging ahead on path of regional economic integration. The membership request came after a fruitful royal tour in Africa that evidenced, once more, Morocco’s willingness to build on its close political, human, historical, religious and economic ties with West African countries. Recently, Morocco gave further substance to its south-south cooperation approach in the continent and sealed an agreement with Nigeria to build the Africa Atlantic Pipeline. In the face of the paralysis crippling the Maghreb union, Morocco opted to look south reaching out to its partners in West Africa with whom it has been building partnerships on a sound foundation underpinned by a south-south cooperation approach. So, Morocco’s request to join ECOWAS is the continuation of a decades-long process of fostering ties with the countries of the region. With the inclusion of Morocco, the ECOWAS will bolster its aggregated GDP to the 16th rank globally ahead of Turkey and right after Indonesia.